How’s your beauty regimen going? Yeah, we hear you. In this never-ending winter cold snap, it is hard to summon up the energy to keep brows, bikini lines, and legs in tip-top condition, since all we’re doing is covering them in 80-dernier tights. But, spring is almost here. Really. So, take matters into your own hands — or rather, someone else’s — and seek out the salons who will expertly get you ready to show some skin. Ready to (grin and) bare it? We make no bones about it — waxing treatments are high up on our ouch scale. But Ministry of Waxing is aiming to change that. The founder, Cynthia Chua, created the business in Singapore in 2001, with the mantra "Hygiene, Speed and Quality” in mind. Today, with more than 34 salons in nine countries, the brand claims to have pruned up to 2.5 million bushes (their words, not ours). The defuzz-treatment menu is comprehensive, with options ranging from nostrils to stomachs and underarms, but it's the bikini treatments which they are known for. They use hard and soft wax and offer six different types of "X-rated" bikini removals. X is a standard bikini treatment with XXXX being total hair removal. For those of you who like to individualise your waxing treatments, Strip Wax Bar might be the one for you. The nine-salon business offers four different flavours of wax for your hair removal treatment: olive oil, lavender, berry and chocolate-hazelnut. And the cocoa-scented wax really does smell good enough to eat. Not that we are recommending it. In addition to the surprising scents though, laser hair removal, threading, spray tan treatments, and lingerie sets are available in-store. Choose from lip, face, and the full bikini spectrum of de-fuzzing — or if you want to go the whole hog, go for the Showgirl, which removes hair from all over your body. Yes, really. Polish-born beauty therapist Otylia Roberts has been called the Queen of Waxing, and the title makes sense: She's the woman responsible for bringing the Brazilian waxing phenomenon to London. Hyperbole aside, her beeswax-and-essential-oil-infused hot wax treatments have attracted a cult following, as have her nearly painless hair-removal treatments. Sometimes it is the smallest things that make the biggest difference, and an eyebrow shape at a Shavata Brow Studio definitely falls under this category. Eyebrow guru Shavata has been shaping, grooming and cajoling eyebrows into submission since 2004, when she opened her first station at Urban Retreat inside Harrods. The 15-minute treatment offers a three-pronged approach to sharp-looking brows through threading, waxing, and tweezing. And you can keep up all the good work at home with her signature brow-shaping kits. If the idea of wax is abhorrent, then Blink Brow Bar is for you. All face and brow treatments are performed with the age-old technique of threading, in which twisted cotton thread glides across the skin removing hair (fairly painlessly) as it meets it. 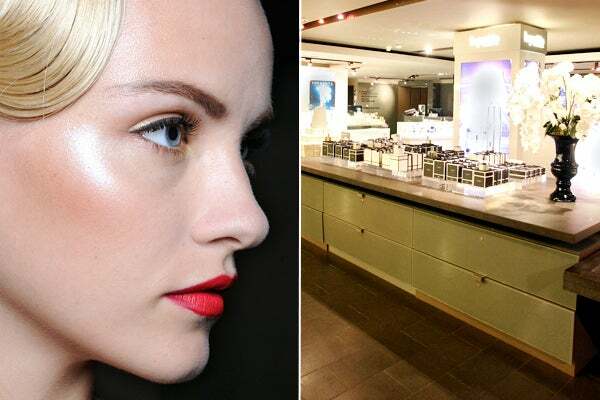 Founded in 2004 by Vanita Parti at Fenwick on Bond Street, Blink now offers fuss-free treatments at 22 bars in department stores up and down the country. The sight of women lying back on the brand’s barber-shop-style chairs is now a standard view during our weekend shopping trips.